Farmatic is a leading supplier of municipal and industrial wastewater treatment solutions for over 50 years. Farmatic is a pioneer of large scale biogas technology, and are known for their quality management and attention to detail within their products. EquipNet continuously receives used Farmatic equipment through our exclusive contracts with our clients. 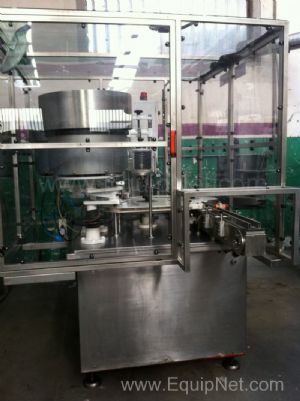 Our inventory includes but is not limited to Farmatic G260 Capping Machine. If you do not see the Farmatic equipment you are looking for, contact one of our representatives and we will find it for you. We can also source the right tooling and change parts that you need through our huge network of corporate clients from around the globe.